Sweden’s THE MOTH GATHERER, an atmospheric doom/sludge/post metal band based in Stockholm, will release its third studio album, successor to critically acclaimed ‘The Earth Is The Sky’ (2015) on February 22nd via Agonia Records. 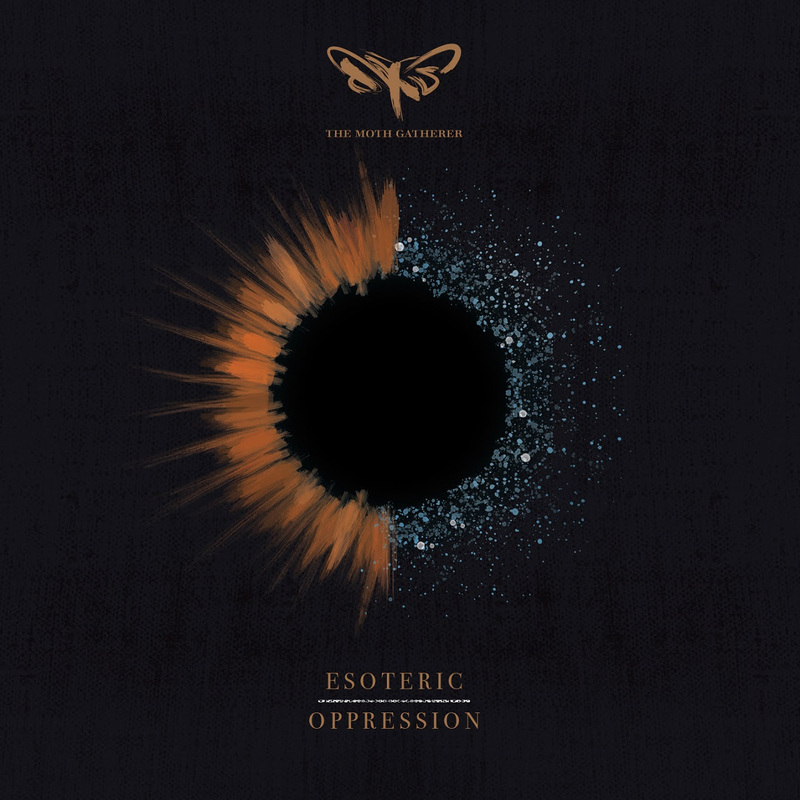 The new album is titled ‘Esoteric Oppression’. Its cover artwork and tracklisting are available below, in anticipation of a new single, due out before 2019. THE MOTH GATHERER emerged in 2008 on the initiative of Victor Wegeborn and Alex Stjernfeldt, as a form of therapy to help them deal with loss. The name of the band is an allegory for finding hope; similarly to moths who are always searching for the light. Operating as a duo, they released a debut album ‘A Bright Celestial Light’ in 2010. The recording showcased an attraction towards long and complex compositions, rich in content, and exposed thet band’s urge to channel emotions and difficult experiences into music. Their sound evolved on the second and last album, ‘The Earth Is The Sky’, from 2015, which took the songwriting to a whole new level, and have deepened the band’s subtle, yet significant electronic aesthetic. The music clearly matured, along with the line-up, which now included Svante Karlsson on drums. Their sophomore work met with warm reception from fans and critics alike, with two singles featured on BBC Radio 1’s Rock Show with Daniel P. Carter, and numerous inclusions on year-end lists from magazines and websites. Having recruited Ronny Westphal on guitars, they later released an EP The Comfortable Low (2016), which featured a guest appearance from Dennis Lyxzén (Refused/INVSN) and Fred Burman (Satan Takes A Holiday). The EP also landed on Radio 1’s Rock Show, thanks to the track This Providence Of Bones. While the new album, ‘Esoteric Oppression’, follows in the same direction as previous works, the band went through a transformation, which left co-founder Alex behind. Even though he participated in writing lyrics for the album, bass duites have been taken over by Victor, who also handles vocals, guitars and electronis. Dan Hemgren has been introduced as a new bass player, who’ll continue with the group post the new album. ‘Esoteric Oppression’ was worked on in several recording studios. Guitars, bass and drums were tracked at Studio Underjord with Joona Hassinen, who later mixed the entire album. Electronics and vocals were recorded at The Lifestream Studio. Magnus Lindberg (Cult Of Luna) mastered the album at Redmount Studios, while the production was laid out by THE MOTH GATHERER. The recording features a guest appearance from Messy Mathi (Barst) on the track The Drone Kingdom. SCG prepared the album’s cover artwork and layout. THE DILLINGER ESCAPE PLAN Second And Final Sydney Show Announced! RISE AGAINST’s new album “WOLVES” is out TODAY!